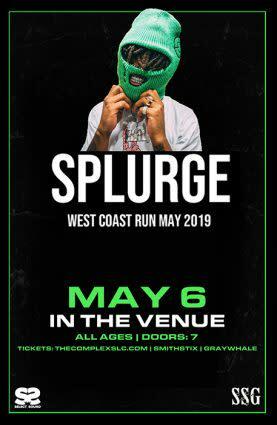 The Complex and Select Sound present Splurge - West Coast Run May 2019.Splurge is a 17-year-old East Arlington, Texas-based rapper who stands out as an innovator among his peers. Born Aaron Harbor Jr., the energetic upstart has only been rapping for less than two years but has tremendous untapped talent.There weren’t any aspirations of being a performer growing up, but a lunchroom hobby during school became an intention when he cut a record that was supposed to be performed during his 16th birthday party alongside his cousin. Even though the party never happened, the track was released to local acclaim, much to his surprise. Once he felt the admiration and attention, Splurge became enamored.“I’m the type of person that...I want all the juice and I want all the attention too, so I made me a song to perform at my party too,” he said. 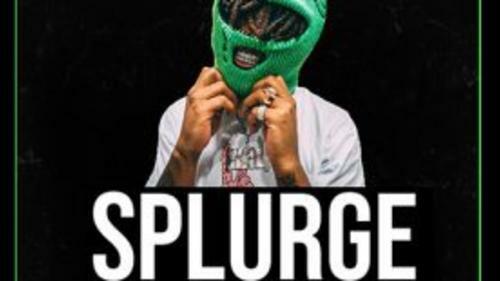 “I end up not having a party and I just released the song and [friends] wanted me to release some more.”As he made more music, what immediately jumped out is the volatility of Splurge’s flow, a delivery that seems erratic, but fits perfectly over any head-splitting drums. When he raps, he doesn’t sound like anyone else and 2018 proved that fans gravitate towards him because of that.